You are invited to a no-charge workshop designed to refine your skills in Leadership and Followership found in Completed Staff Work. Who: Individual Contributors and Managers. What: An instructor-guided seminar — workshop using a lecture and video case studies. The nearest metro is Clarendon in Arlington, Virginia. What: The best supervisors know how to manage their staffers. But the best staffers know how to ‘lead’ their managers. Why: Organizations have goals that need to be met. This accomplishment requires training. How: For more information on the class, please email me, Yoest@cua.edu. How Much? There is No Charge but registration is required for security, click here. 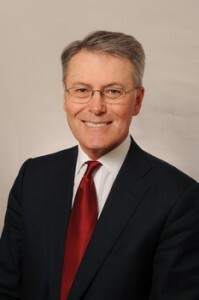 John Wesley (Jack) Yoest Jr., is a Clinical Assistant Professor of Management at The Catholic University of America. Professor Yoest is a senior business mentor in high-technology, medicine, non-profit and new media consulting. 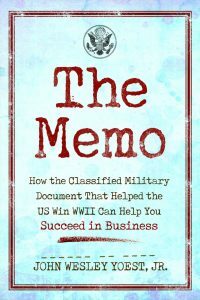 He is the author of The Memo: How the Classified Military Document that Helped the U.S. 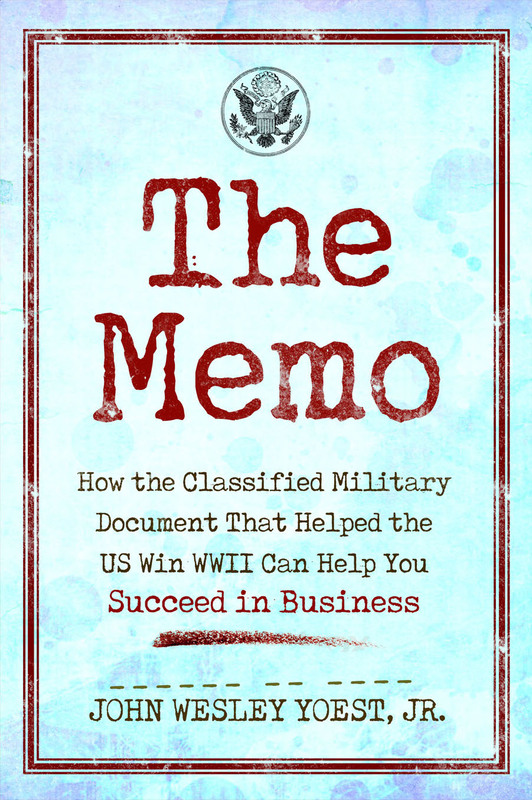 Win World War II Can Teach You How to Succeed in Business published by Post Hill Press and distributed by Simon & Schuster (2017) and Management by The Book: 365 Daily Bible Verse & One-Minute Management Lessons for the Busy Faithful (2016). Professor Yoest teaches graduate and undergraduate business students at The Catholic University of America. 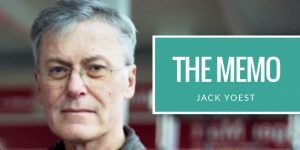 He has been published by Scripps-Howard, National Review Online, The Business Monthly, The Women’s Quarterly and other outlets. 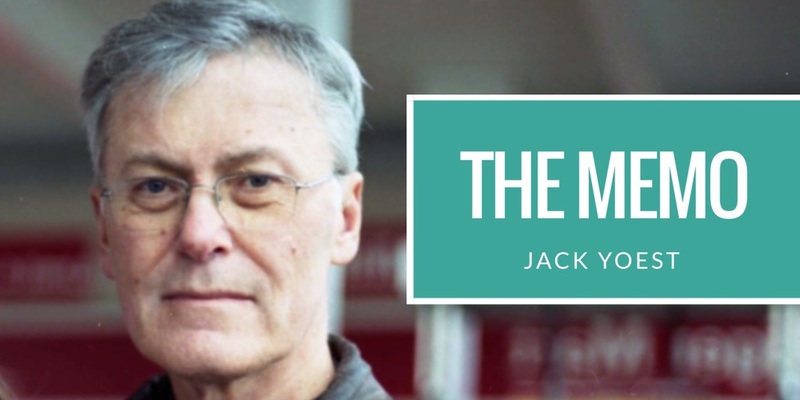 He is a columnist for Small Business Trends and The Stream. He also served as the Assistant Secretary for the $5 billion budget Health and Human Resources. Prior to this post, Professor Yoest managed entrepreneurial, start-up ventures, which included medical device companies, high technology, software manufacturers, and business consulting companies. His experience includes managing the transfer of patented biotechnology from the National Institutes of Health to his client. He served as Vice President of Certified Marketing Services International, an ISO 9000 business-consulting firm, where he assisted international companies in human resource certification. Professor Yoest served with Menlo Care, a start-up medical device manufacturer. While at Menlo, he was a part of the team that moved sales from zero to over $12 million that resulted in a buy-out by a medical division of Johnson & Johnson. He has been active on a number of Boards and has completed a number 26.2-mile marathon runs. Professor Yoest and his wife, Charmaine Yoest, Ph.D., who is Assistant Secretary of Health and Human Services, live in the Washington, DC area with their five children. Their first-born daughter is an NCAA National Crew Champion and four-time ACC Champion at The University of Virginia. Their eldest son is an Army Aviation Officer and was a pitcher at The College of William & Mary and Colonial Athletic Association (CAA) Champion. Their middle daughter rows at Bucknell University and a Patriot League medalist. Their two younger children are uncommitted.